The Mystery of the 600,000 letters Solved. The choice: Programmer of Programmee. There has been a great mystery in Kabbalah and Judaic studies for millennium. The Zohar and chazal clearly state in many places that there are 600,000 letters in the Torah, but just as clearly if you count them, there are only 304,805 actual letters. Many people have posited that they were counting the white fire between the letters, or duplicating the letters by counting their upper world reflections and other theories, but none of these calculations ever came close enough to 600,000 to satisfy anyone, so the mystery persists. Or does it? The first thing we need to understand is that the letters are already upper world manifestations (black fire) in our world and that their meaning/essence is as hard to actually grasp as is a fleeting inspiration drifting down from keter and chochma–you may have it one second and lost it the next. But it is essential that grasp and understand the letters as best we can. But why do we really need to understand the letters when we already understand the words? We can all understand, especially with the guidance of our spiritual rabbis, past and present, the meaning of the words, so why look any deeper to the letters? The answer is the same as with your computer programs. You can email and IM your friends and colleagues and play all sorts of great games on your computer, but unless you know the programming code you can’t create programs themselves, and as any kabbalist, spiritual teacher, theologian, and most rabbis and Torah scholars will tell you, our purpose is to be more like the Creator, not just his recipient. When you analyze how a program was created, you gain insight into how the programmer thinks, into how his mind works, and so it is with the programming tools of the Torah (which incidentally are mimicked in the technology of all our prayers). These tools are the patterns and algorithms used to create what we call words, verses, paragraphs and the chapters of the Torah. And the building blocks, as Abraham explained to us in the Sefer Yetzirah, are the 22 Hebrew letters. He further explained that they should be counted, measured, permuted and studied. So we can either spend our time sending email to our friends and colleagues, or learn about who enabled us with the ability to have friends and colleagues in the first place. Yes, we are supposed to do our spiritual work in this world with those people, but if you have the merit to understand more, you have the obligation to those very people to do so. You must be their channel. You also have the obligation to yourself to be more like the Creator, because the more you understand about how He thinks, the more that gets revealed to you about how the universe really works. You can see the email on your screen, or look deeper and see the world for the illusion that it really is. Every bit of technology that gets revealed comes with a gift. It comes with additional understanding to be sure, but it also comes with the means to bridge Heaven and Earth, to change your reality, to help people, to improve the world of tikun, and for you to do your part in bringing about the arrival of H’Mashiach. The choice is yours–it always has been: To be a programmer or to be programmed. As we draw within a short few years of the programmed date for the arrival of the messiah and Mashiach consciousness, the Lord is fulfilling his promises of revealing all the knowledge to us. Thus each one of us will have been given the tools to have done his part in bringing about the geula, the final redemption. On the flip side, no one will be able to say that they weren’t given the opportunity and had chosen accordingly. There will be a great split (schism) accompanying the time of Mashiach and there will be two different worlds afterwards. And we’ll each be given the opportunity to prove which world we belong in, for that is why we were born in this generation. For that reason, it’s time to reveal the 600,000 letters, which we know from chazal connect with the 600,000 Jewish souls that received the Torah 66.6 jubilee years ago at Mt Sinai, and for a lack of belief of a mere 6 hours lost the opportunity to know immortality on the heavenly scale. It’s said that we all have a letter in the Torah, now we know it is our root to Heaven. It is also our route. The answer to the riddle of the 600,000 letters is quite simple, which in and of itself explains why it must have been concealed from chazal until now. If the 22 plus 5 final Hebrew letters are broken down into their correct 50 composite parts (letters) the answer becomes clear. But first, we should note that when we break down a composite letter into the letter elements that formed it, we’re going one step deeper into the mind of the Creator. For example, the mem is written (created) by combining a caf and a vav and placing them in an exact juxtaposed position. We know that Caf-vav of numerical value 26 is a direct reference to the Tetragrammaton, (YHVH) and the ordinal value of Caf-vav is 17, that of tov, meaning good, so just having this little bit of programming knowledge brings new meaning to every word you see and read containing the letter mem. The next point we need to know is that there being 50 essential letters (composite parts) is no accident. We know from chazal that 50 connects to Binah (the upper sefira of understanding) and that the Torah makes a very distinctive point to tell us to count the jubilee years, each of which is 50 years long. So why not exactly 600,000 letters, which would show show us perfection? Because we already know G-d is perfect and what He wants is for us to understand his thought process, the underpinnings of the universe, and then realize how perfect the universe is. So why exactly 408 letters shy of perfection (600,000) as we understand it. Since 60% of the verses in the Torah begin with the letter vav of numerical value 6 and all but 6 columns begin with the standard letter vav (6) and since the letter vav represents Zeir Anpin, the connection to Heaven, and thus represents the link to the upper sefirot, let’s see what happens if these 408 letters were all vavs, and 408 x 6 = 2448. And if you recall from The Divine Calendar or from your own Biblical studies, 2448 was the year of the Exodus from Egypt and the reception of the Torah at Mt Sinai. Now, if we’ve learned any insight into the thought process of Hashem, it is that everything has multiple correct meanings and every bit of technology works overtime to delineate multiple story lines for us, multiple opportunities and streams of knowledge for us. One of those streams leads us to the realization that the 50 component letters led us to (600,000 – 408) which led us to 408 x 6 = 2448 HC and that in turn leads us to 2448 + 50 (jubilee year) X 66.6 = 5778, the year prophesied for the arrival of H’Mashiach. According to the Zohar, the 6 directions/extremities of Heaven measures 600,000 parasangs, so the 408 could also represent a space, but that’s just a thought to ponder. What we do know is that the highest word value in the Torah is the word from Devarim 7:3 (shall marry, TChTTN) of numerical value 1500, but when we use the 5 final letters the highest word value is from Bamidbar 16:13 (you shall rule, TShTRR) and it is 1908 and interestingly enough 1908–1500 = 408. Now, 1908 is not only 110 (the numerical value of nes, miracle) years earlier than 2018, which in the Hebrew calendar was the date of the Covenant of Abraham and in the Western (Gregorian) calendar is the year prophesied for the arrival of H’Mashiach (5778 HC), but 600,000/1908 = 314.465408… with 314 being Pi, Shin-dalet-Yud (Shaddai) and Mettatron, the archangel (and a central reference point of Bereshit , as per all the revelations in The Genesis Prayer. And if we wanted to examine this deeper, we could say that 46 in 314.465408 is Me’ah, the measure of the cubit (a whole secret unto itself for later posts) and that 5408 in 314.465408 is 370 years before 5778 and we know from the Arizal how important 370 is in conjunction with the 370 lights of Arich Anpin. 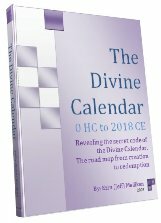 As far fetched as this seems, the Zohar in Toldot 8:68, tells us in explanation of the Bible codes that the word H’zot defines the arrival of Mashiach and then 40 years later the resurrection of the dead, but I’ll expand on that in a separate post and it goes on to explain that the reason for this is that with the He of h’zot, the word value becomes 5408, as in the year 5408. What they didn’t say was that the small gematria of h’zot is 5718 and is we add the cholam for forgiveness to the alef, we get 5778, the prophesied date for H’mashiach and the geula. Meanwhile 600,000/1500 = 400, signifying an end by the value of the letter Tav (400). And according to chazal, in the end of days there will be a period of 8 years in which in H’Mashiach will have to pass through in order to achieve the brit, covenant in 5778. Obviously, this is the same process as the brit milah for the newborns. The value 408 is also the value of the word, Zot (TzET), meaning “that” in the feminine. According to the Zohar, Zot is a code word for the Messiah, It also signifies Malchut, our world of receiving, which is why when we lift the Torah, we recite V’Zot H’Torah, because the 408 (the malchut) is not part of the Torah and must be added to it to complete it. Also, by coupling it with Vav, representing the 6 sefirot of Zeir Anpin, it’s yet another indication that 6 x 408 = 2448, as explained above. Moreover, the numerical value of Zot plus H’Torah is 408 + 616 = 1024 = 32 squared, or the 32-Paths of Wisdom (the tree-of-life_ squared. And we know from R’ Chaim Vital of blessed memory that all Torah light is spread by squaring. The value 1024 is also the total number of different word values in the Torah, of which 1500 was the highest. It is also 2 raised to the power of 10 (sefirot, dimensions). But since we know from the revelations about the verses of Vayera, Bereshit 2018 and 21:1 made in previous posts and from the revelations in the book Nothing is Random in the Universe that there is a split in the time frame from before 2018 to after 2019 is it really a surprise to find out that the square root of 408 is 20.19…? And how perfect is it that when we take the complete value of each of the 27 letters (standard plus ordinal and the complete value of the 50 composite letters that make up those 27 letters we get a total valuation for the alef-bet of 10386, which works out to the number of net actual rows in the Torah (248 columns x 42 rows less the blank lines) and for the (600,000 – 408) composite letters in the Torah that this gives an average of 57.73 letters per line. 600,000/10386 would have given us and even closer date of 57.77, so maybe that 408 represents a space that we have to fill to overcome the gap between ourselves and Mashiach consciousness. Is it a fear, as the word Chat (ChT) of numerical value 408 would indicate? Perhaps, to know that we must all look inside. The Torah and the letters provide us with the clues and the technology, but we must do the work. That is why we were born in this generation. It is a great merit; let’s take advantage of it. And speaking of Mashiach, if we take those 10386 full complete values individually and multiply them by the occurrences of their corresponding 27 letters in the Torah and then take their square roots (since R’ Chaim Vittal of blessed memory has revealed to us that all Torah light is spread through squaring) the 27 (50) letters’ square roots sum to 35797.9359, which is only a tiny .005766% off an exact 35800, or 358 x 100 (keter), with 358 being the value of Mashiach. What do we gave to fear? One soul divided by (600000/12/70/3) = .0042 or simply 42, as in the Shem mem-bet, at the very root of our soul. And as preposterous as this may seem 1/(600000/12/70/3) = 238.095, which is the exact the atomic weight of Uranium 238. 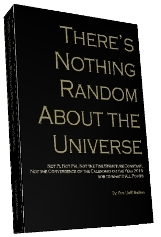 Author Jeffrey MeilikenPosted on November 19, 2008 December 4, 2008 Categories RevelationsTags 1024, 2018, 238, 2448, 314, 32 paths of wisdom, 358, 408, 42, 5778, 600000 letters, abraham, Add new tag, archangel, Bible, Bible codes, Calendar, chaim vital, covenant, covenant of abraham, fear, jubilee year, kabbalah, light, Mashiach, messiah, Mettatron, miracle, PI, secret, shaddai, shem mem-bet, Sinai, souls, Torah, tree-of-life, uranium, wisdom, zohar8 Comments on The Mystery of the 600,000 letters Solved. The choice: Programmer of Programmee.